Do Careless Magicians Really Go Crazy? The "Whimsical Little Wizard" - What Gives? The original version of this article was posted on 9/26/2006 on the old Augoeides. It has been reworked with a new introduction and conclusion. If you browse magical forums on a regular basis you will often come across somebody eager to point out that failed magicians go "crazy" in some fashion, and that they often wind up in mental institutions. This idea is mentioned in a number of introductory books on ritual magick and also happens to fit nicely with the ending of The Craft, the 1996 film about Wiccans who could kill people, cast illusions, levitate, and summon lightning storms. I found the movie to be fun back when I originally saw it but not very accurate on a number of points - including this one. 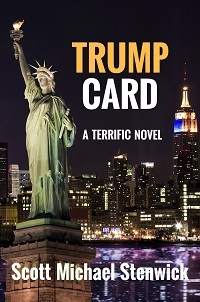 As I mentioned in my biography, I have a degree in psychology and in my course of study I reviewed a fair number of case histories of people who actually were institutionalized. I also have been involved in the magical community here in the Twin Cities for many years. I have yet to come across one person who wound up institutionalized because of something that went wrong in their magical practice. I have known practitioners who have run into problems from time to time, but usually the worst thing that happens is that they give up on the magical path. In my own experience, the effect has been the exact opposite - when I have run into problems over the years, my magical practices have helped to keep me sane. This is not to say that there are no magical practitioners with mental illness of one sort or another. This should be expected - almost a third of the population of the United States has some sort of mental illness with depression (at around 24% of the population) topping the list. The question is whether or not magical practitioners have higher or lower rates than the population as a whole. If the rates are similar, there is unlikely to be any sort of causal relationship. In statistical research, correllation does not imply causality, but causality by definition implies a correllation. If the rates are lower, magick may actually help to mediate the effects of mental illness, and there are some similarities between ritual magick and psychotherapy. In the 1980's, various religious conservative groups came out with wild claims about the effects of role-playing games such as Dungeons and Dragon. They claimed that some large-sounding number of suicides were linked to gaming and therefore it was dangerous, especially for teens. The only problem was that these groups failed to understand their statistics. By taking the large-sounding number of suicides and dividing it by the number of people believed to be gamers, the resulting percentage was less than half the suicide rate for the general population. I don't know that this statistic means gaming can prevent suicide, but it does not constitute evidence for the claim that gaming is dangerous. I've developed a suspicion over the years that claims of magick having the potential to cause mental illness might be based on a similar misunderstanding of anecdotal information. Schizophrenics often exhibit delusional beliefs and what psychologists call "magical thinking," but this term is not actually related to magical practices. It could better be called "superstitious thinking," the idea that completely unrelated things are somehow connected and influencing each other. In all the case histories of schizophrenics that I have read, none of them include any references to magical practices. 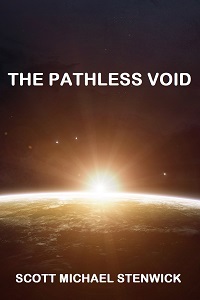 Some paranoids claim to be attacked by spirits, but for others the enemies are aliens or government agents and it seems like whoever "they" happen to be the profile of the illness is generally the same. Bipolars in manic phase sometimes claim to have magical powers, but I have never seen a case where the claimed "powers" were based on any sort of disciplined spiritual practice or magical system. In my opinion magick is more difficult than dangerous. Usually the worst thing that will happen if you cast a spell wrong is nothing, since we don't happen to live a Hollywood reality where one false word or gesture will unleash the power of a spell in some manner that involves most of your temple being engulfed in green fire or at least a bunch of windows breaking. Many people experiment with magick and leave the path when they fail to see results, but most of them wind up as psychologically intact as when they started out. I will say that the overlap between spiritual practices and mental illness could make for some fascinating research that will answer the question once and for all. A version of this article was posted on 9/25/2006 on the previous version of this blog. It references two blog comments that were current at that time, one on the old Augoeides and one on another site. Despite these external references that are no longer current, it makes some good points outlining my basic approach to the Enochian magical system. S.S. makes plain in this post an issue that I have been wrestling with for some time: What to do with the Golden Dawn system? For every minus that the G.D. has against it when paired with the original material, I find a plus. Just to give a couple of examples: I am very into the color scales and I love using the truncated pyramids. There should be enough available in Dee's material to create a system capable of querying itself and generating further revelations. Indeed, that should be the real test of its merit. Any external confabulations will, at best, produce syncretist garbage like the Golden Dawn's, or, at worst, waste time endlessly. I work from the Scientific Illuminist perspective that contends magick should be a progressive science - that is, it should change and evolve as effective techniques are developed and ineffective ones are discarded. While I would have described myself as a Dee/Kelly purist many years ago, I have also more recently included more syncretic concepts into my Enochian work, including some ideas from the GD system.So when is syncretism a problem, and when is it a good thing that advances the discipline of magick? That's the big question, especially with the Enochian system. Much of this controversy centers around the contrast between the original system dictated to John Dee and Edward Kelly and the elaborate system developed by Samuel Liddell MacGregor Mathers and Wynn Wescott of the original Hermetic Order of the Golden Dawn. It may very well be that many of the grimoires of the Medieval and Renaissance periods were originally transcribed using similar methods to those used by Dee and Kelly, but it is only the Enochian system for which we actually have the majority of the research notes and are able to refer back to them. 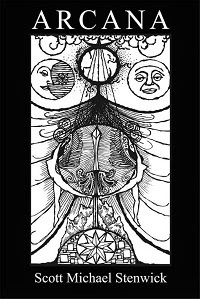 The GD system was derived in part from those notes, but it also incorporated a number of elements from Hermetic Qabalah and as a result there are some sigificant differences between the two systems. The GD system makes use of a pronunciation method for Angelic words that is different from the pronunciation notes made by Dee. The GD system brings in a whole collection of Qabalistic attributions not mentioned in Dee's notes. This includes the color scales, truncated pyramids, and so forth. The GD system treats the 91 parts of the Earth as "Governors," when they are places and not spirits in the original notes. The GD system uses a version of Dee's Great Table based on a set of communications in 1584. A second version, more coherent version of the Great Table from a 1587 communication is used by some modern magicians, including myself. The GD system attributes the Calls to the quadrants of the Great Table according to a system that is not found anywhere in the Dee and Kelly material. The GD system does not emphasize the use of the temple furniture and other implements that were described to Dee and Kelly. Unlike my OTO brother quoted above, I do not make use of the truncated pyramids in my own work, more because I've never really sat down and worked with them rather than because I think there is something wrong with them, but I do use the GD color scales extensively for talismans and lineal figures and those attributions work very well. I think that the GD magicians were correct in the basic premise that there is a Qabalastic structure to the Enochian system. However, in some cases I think problems arise because the Qabalistic model was favored over the original instructions in places where there are contradictions. I have two basic rules for integrating syncretic elements into the Enochian system. First of all, the new material may add to the original system (1) as long as it does not contradict the original instructions, and (2) as long as it works. The first rule is fairly easy to apply, but the second requires solid research and experimentation. When applied to the list above, the first rule eliminates (1) and (3) outright. Many modern magicians are now moving away from GD pronunciation, so the use of the language itself is moving more in the direction of the original system. Some modern magicians have also commented on the misunderstanding of the relevant section in Dee's True and Faithful Relation that resulted in the GD confusing the Governors (12 zodiacal spirits attributed to the Tribes of Israel) and the 91 parts of the Earth. 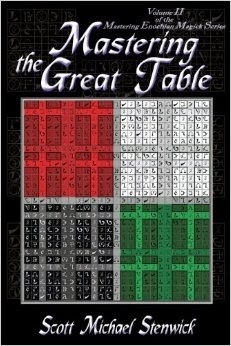 (4), The controversy over which version of the Great Table to use, has solid arguments on both sides. Magicians who use the 1584 version note that it was received around the same time as other significant pieces of the system such as the Calls and that it was dictated to Dee by Kelly. The 1587 version was obtained by Kelly scrying on his own, after most of the elements of the Enochian system had been received. The 1587 version is the newest version of the table and is more coherent than the sometimes conflicting communications regarding the 1584 version. Also, from experience I know that sometimes dictation makes it more difficult to put together something as complex as a large grid of letters. At the same time it has been argued that the 1587 version could have been fabricated by Kelly, especially among those who favor the "Kelly was a con artist" narrative that characterize some biographies of Dee. I use the 1587 version because after much experimentation I found that it seemed to work the best of the various versions I tested, and this is a good example demonstrating that in the end, experimentation is the only way to resolve questions where the original material is contradictory. (5), the order of the Calls, is a case where there is no contradiction between the two systems because no order was ever specified in the original material. My main problem with it is that when actually working around the Holy Table (that is, the altar table, not the grid of letters - Dee used "table" for both) using Dee's conjurations to the quadrants, the Calls mentioning directions become confused. I can go into more detail in another article, but briefly we know that each quadrant of the Great Table (the grid of letters) is attributed to a direction, and in theory a call that refers to the north should be recited when opening part of the Table attributed to the north and so forth. Some of the Calls mention directions, and these do not match when using the GD order. Also, the last four Calls (to me) clearly fall into the same group based on their content, but the GD system groups calls 3-6 together (which I agree with) and then subdivides the remaining 12 into four groups of three (which I disagree with) rather than three additional groups of four. (6) turns out to resolve itself quickly and easily with experimentation. 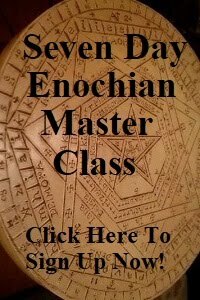 Enochian magick works without the furniture and implements, but the more you have the better it works. This has held up for me over the course of many years. I still don't have a perfect Enochian temple, but I do keep working on it whenever I can and one of these days it will be complete. This leaves (2). There is one big problem that I have with GD attributions for the quadrants of the Great Table. The GD system attributes the four quadrants to the elements, which is logical and does seem to work. However, the mistake is that in the GD system the elemental attribution becomes the primary attribution of the quadrant, when in fact the original material names the direction as primary. BATAIVAH is the King of the East. However, when switching from the microcosmic "winds" model to the macrocosmic "zodiacal" model, BATAIVAH is treated as the King of Air and his quadrant is attributed to the west. I am convinced that this is incorrect - rather than BATAIVAH moving from east to west his attribution should shift from Air to Fire. Again, I have testing this out and in my own experience shifting BATAIVAH to fire seems to work better. It is important to note that the truncated pyramid system is still usable when shifting the elements rather than the names - the pyramids themselves just wind up attributed to different letters depending on whether you are working microcosmically or macrocosmically. This could also be an interesting avenue for research, and I may try it out one of these days. Experimentation is crucial, and I will conclude with the comment that when you are experimenting with new magical techniques what you are looking for is an objectively measurable paranormal effect. Anyone can put together a ritual, perform it, and have it "feel good." The human mind is very malleable, and it's easy to convince yourself of just about anything if you put enough energy into it. An effective spell makes something happen that is relatively unlikely, or produces a real and lasting change in your perception of the world above and beyond what you could manage with self-hypnosis or NLP or any of the other "sleight of mind" systems that do not incorporate the concept of magical energy. The former is the best test because it can be measured directly - (1) did my objective occur, and if so (2) how unlikely was it? A more powerful spell can make a more unlikely thing happen - it's that simple. You will want to record your successes and failures over time with different techniques so that you can go back through your notes and determine which of the techniques you are testing produced the best statistical results. Whichever technique is the best is the one you should use, and remember that there is a lot of individual variation. You need to do your own work, though research done by others may point in a certain direction. I like to think I have as much of a sense of humor as the next person, and I try not to take myself and my magical practice too seriously. In fact, I don't have a lot of respect for practitioners who never crack a smile, wear all black, and go on and on about how people or either scared of them or should be. I think that if H.P. 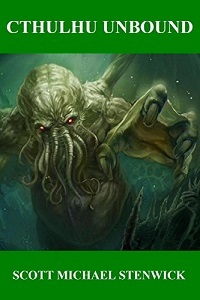 Lovecraft were around today he would be amazed at how close to the truth his stories were - working magick involving his Great Old Ones may not reduce the unwary to gibbering lunatics, but it sure makes them deadly dull. That being said, the "whimsical little wizard" really bugs me. First off - what the hell am I talking about? Here you go - check the upper right corner of the page. When I was putting together my bio for the previous version of Augoeides I included a link to the Church of Light, an organization to which my great-grandmother belonged. I didn't bother to click on the link since it wasn't all that important in the overall scheme of things. It's a historical family note, not a group with which I'm affiliated in any way, and from the Google text it was clear that the link was for the right organization. If you go to the page, though, you will notice on the top right a "whimsical" cartoon wizard with the caption "our whimsical little Wizard will speed you into the next dimension." How is it that this kind of thing gets associated with magical practices? I don't think I've ever met a member of the Church of Light and my great-grandmother died before I was born, but according to my father they were sincere and reasonable people back when she was still alive in the early sixties. I'm sure the cartoon was added with the best intentions. "Hey, people will think this is cute and they won't find us scary." That's all fine and good, but it also gives the impression that the group is a bunch of yahoos. There's no reason to put up a "scary" page, but some degree of scholarly decorum gives a better impression than childish, cutesy drawings. The page, even as it is, would be substantially better without the cartoon. The Tree of Life diagram is nice, even though I can't really work with the Church of Light system very effectively because all of their Qabalistic associations are different than the Golden Dawn/Crowley model that I have worked with for many years. For all I know the "wizard" may help their recruiting of regular folks and the Church of Light may have the numbers to prove it. I can just about guarantee, though, that the sort of people who are likely to become highly skilled magical practitioners will be turned off by anything that makes magick look cute and silly. Real magick is anything but. This article was originally posted on 11/7/2006 on the previous version of this blog. Since then, my magical working group has experimented with the revised formula and obtained some interesting results. Those will be summarized at the end of the article. Reading through Enochian Initiation I was struck by some of the similarities between Frater W.I.T. 's experiences and the experiences of my own ritual group when we attempted a series of elemental invocations based on the solve et coagula formula used by most modern magical orders. The idea is for the most part simple and logical - it consists of a series of initiations based on the arrangement of the four classical elements and adds the element of Spirit at the end of the cycle to bring the other four elements back together and integrate the experience. Frater W.I.T. found that Earth and Air were relatively easy, but going from Air to Water was much more difficult. This is what we noticed as well - Earth and Air went quickly, everyone had little trouble showing up and making time for the related practices, and nobody's life exploded. I was laid off from my job at the time toward the end of Air, but as I had been considering quitting for many months and being laid off instead gave me a sizeable severance check, I can't really consider that much of a disaster. Water, however, was a different story. A number of people in the group ran into various personal problems and the series dragged out as we wound up having to reschedule a number of the workings. We pushed on and finally finished Water, Fire, and Spirit but it took us a lot longer than we originally expected and the end of the series was not nearly as smooth as the beginning. After much deliberation, I think the problem may be with the solve et coagula formula itself, which requires a rethinking of one of the most basic initiatory structures of the Western Esoteric Tradition. Solve et Coagula essentially means "dissolution and unification." Solve is the root of the English dissolve and Coagula that of coagulate. It is a formula that is drawn from European alchemy that describes the process by which substances are distilled into their component parts, each individual portion is then purified, and finally the components are recombined to create a synthesis of the purified elements. In initiatory work, time is spent working with each of the elements on its own and once this is complete Spirit is invoked to bind the elements back together. The most common pattern is the inverse of YHVH - Earth, then Air, then Water, then Fire - although some orders work the pattern in order of density - Earth, then Water, then Air, then Fire. One of the biggest difficulties with this pattern is the problem of rushing ahead. As realization expands with the invocation of the "higher" elements, problems that remain in the "lower" elements can be magnified and manifest in pathological ways. In theory, if one were to completely master Earth once could move on to Air without encountering any problems. The difficulty there is that complete mastery of an element can take a lifetime, and it is difficult to know when to move on. A lot of magical and pagan folks have ongoing trouble with Earth - I have certainly met quite a few of them who have problems holding down jobs and managing finances. Frater W.I.T. was guided by the Enochian Angels who told him when it was time to move on, which is an effective way to work so long as the communications you are receiving are accurate. It is hard to implement this in a group setting, though, in which a standard initiatory pattern is desirable. So what to do? I read a fair amount of Ken Wilber, who synthesizes a lot of psychological research related to personality development and connects it with stages of spiritual development. In Integral Psychology Wilber outlines how the personality develops by integrating new stages of awareness in a series of concentric rings, each of which includes all previous stages of development. This is different than the "great chain of being" model exemplified by the "perennial philosophy" in Western Esotericism in that rather than metaphorically climbing a ladder in which the steps are separate states that are predicated upon but not inclusive of the previous steps, in that Wilber's model is much more holistic. Each new step includes the whole of personality development in addition to itself, and the result is a more integrated (or in Wilber's terminology, "integral") concept of psychological development. When we worked with our elemental series each element was invoked for six weeks. For the first week we invoked the element as whole, and then during the next four the parts of the element would be invoked individually (for example, Earth of Earth, then Air of Earth, then Water of Earth, then Fire of Earth), and on the last week we would invoke the Spirit part to bind the other four parts together. The daily practice corresponding to this included our regular rituals (Lesser Pentagram/Lesser Hexagram or Star Ruby/Star Sapphire, and some sort of general invocatory practice like the Middle Pillar or Animadversion to the Aeon) along with the Greater Invoking Ritual of the Pentagram for the element we were working with during each six week period. This structure was based on solve et coagula and the idea was to completely immerse ourselves in each element as we worked through the series. These rites actually seemed very effective and a number of people in the group had interesting realizations, but they were not completely successful in that various problems arose in peoples' personal lives that to some extend derailed the practice. Wilber's model suggests a new way to invoke the elements. Rather than working with Earth, then switching to Air, then switching to Water, then switching to Fire, and then finally invoking Spirit, the magician could begin with Earth and then add the subsequent elements in order as they are invoked in a series of initiatory rites. The specific daily practice for this would consist of beginning with the Greater Invoking Ritual of the Pentagram for Earth at the beginning of the series, but keeping the Invoking Pentagram of Earth in the north (its proper microcosmic direction) when moving on to Air. Air then stays in the east along with Earth in the north when the magician moves on to water, and finally with the addition of Fire the magician would be tracing the pentagrams of all four elements to the proper microcosmic directions. This maintains the foundation established at the level of each element, which could at least in theory act to stabilize the realization more effectively than invoking each element on its own. For the period invoking Spirit, something like Liber V vel Reguli would be ideal, especially since it uses the inverse pentagram that represents spirit condensing into matter. The elemental series could also be integrated with a practice like Liber Resh vel Helios in which the invoking pentagrams and Golden Dawn grade signs used in the Greater Ritual of the Pentagram could represent "the sign of his grade" given prior to the adoration. As with the pentagram ritual, pentagrams could be added as the series moves along. The magician would start by making the Earth pentagram and sign to all four directions, then keep making the Earth pentagram to the north but move on to making the Air pentagram to the the other three directions and so forth. So here's what the whole thing would look like following the standard inverse YHVH formula. The first three rituals should be done once per day, more often if desired and time permits. Liber Resh should be done throughout the day. Remember that if Daylight Savings Time is in effect, noon and midnight are actually more like 1 PM and 1 AM. Make the Invoking Pentagram and Sign of Earth to all four directions when performing Liber Resh.Use the Greater Invoking Ritual of the Pentagram for Earth. This follows the Star Sapphire and precedes the Animadversion to the Aeon. For Resh, make the Invoking Pentagram and Sign of Earth for midnight, Invoking Pentagram and Sign of Air for morning, noon, and evening.For the Greater Pentagram, make the Invoking Pentagram of Earth in the north and the Invoking Pentagram of Air to the other three directions. For Resh, make the Invoking Pentagram and Sign of Earth for midnight, the Invoking Pentagram and Sign of Air for morning, and the invoking Pentagram and Sign of Water for noon and evening.For the Greater Pentagram, make the Invoking Pentagram and Sign of Earth in the north, the Invoking Pentagram and Sign of Air in the east, and the Invoking Pentagram and Sign of Water to the south and west. For Resh, make the Invoking Pentagram and Sign of Earth for midnight, the Invoking Pentagram and Sign of Air for morning, the invoking Pentagram and Sign of Water for evening, and the Invoking Pentagram and Sign of Fire for noon.For the Greater Pentagram, make the Invoking Pentagram and Sign of Earth in the north, the Invoking Pentagram and Sign of Air in the east, and the Invoking Pentagram and Sign of Water to the west, and the Invoking Pentagram and Sign of Fire to the South. Resh is same as Fire.The Greater Ritual of the Pentagram and Animadversion to the Aeon are replaced by Liber Reguli, which includes the Animadversion. This can then serve as ongoing daily practice once the elemental series is complete. Some sort of dramatic initiatory ritual could be substituted for the first week of each element, or added so that the series goes from 36 to 42 weeks. As a bonus, you could add something like Liber Samekh for the rest of the year and attempt the Invocation of the Holy Guardian Angel for the last ten weeks. Update - December 2007: This article was written about 13 months ago. In the meantime, my magical working group decided to go forward with a second elemental series of invocations inspired by this pattern. We also incorporated some ideas from Mark Stavish, who works with the elements by density order rather than inverse YHVH. This changes the sequence so that Air and Water are switched, making the order Earth -> Water -> Air -> Fire -> Spirit. We repeated the original series, but using Stavish's order along with practices similar to those outlined above, though not quite as extensive. We used the Lesser Ritual of the Pentagram, a modified version of the Lesser Ritual of the Hexagram, and a Golden Dawn-inspired ritual for invoking the elements, since not everyone in the group is as familiar with Crowley's rituals as I am. The results were very different from the first set of invocations. There were relatively few crises while we were actually working the series and unlike the first time around we didn't reach a point where getting the rituals done became much more difficult. This could be attributed to a number of factors, but I am of the opinion that the revised practices were the key. I think that using the Stavish order was helpful as well in that the density-based order creates a better and more stable foundation for ongoing magical work, but in the end I think problems were magnified by isolating the elements in the first set of rituals and this led to all sorts of difficulties. Furthermore, for whatever reason none of these problems really resolved themselves during the first series, but seemed to only exist to create static. During the second series some problems did arise, but it seemed as if those problems held off their full intensity until the series was concluded and the situations those problems produced led to real resolutions. On the basis of these observations, I am now working with the tenative working hypothesis that solve et coagula really does require a more effective replacement. The "Holy Trinity" of magical spells newbie magicians ask about online is now complete with the posting of a money spell. Perhaps it is a telling point of human nature that the problems people most want to use magick to solve are issues of money, love, and vengeance - these are all things that are severely circumscribed by our culture an that seem difficult to obtain by normal means. Money spells are another popular use of magick, dating back as far as we can document. In Medieval times prosperity was based on the ownership of land and agricultural production, but the transition to a more mercantile society during the Renaissance brought with it new applications for this age-old art. The Renaissance saw the rise of alchemy and the pursuit of methods for transforming base metals into gold, and while this is a pursuit that the mystically inclined normally view in a philosophical light there were also a lot of early scientists trying to figure out how to accomplish physical transformations. In the modern age money is essentially information. Paper money issued by governments is backed by the entire economy of the issuing nation, a vast conglomeration of trade and related commercial arrangements, and bank account balances are simply numbers on a page - but numbers of vital importance to our survival. A money spell cast today will work along these lines. I have yet to see a magician conjure money out of the sky, but I have seen something close. Years ago a local magical group did a big spell to make the group more prosperous. Shortly thereafter $1000.00 mysteriously appeared in the group's bank account, the result of a bank error that coded a $100.00 deposit with an additional zero. The bank did eventually find the error and notified the group that they were going to fix it - and never did. Years later when they transfered the money to another bank the $1000.00 was still there. Still, this is the only case of such a thing that I have ever come across. Normally money spells work in more mundane ways - a bigger bonus or raise at work, a successful business deal that is more profitable than expected, or even a higher than chance rate of success playing the lottery. Liber 777 places "the power of acquiring wealth" under the domain of the Sun, and the power of "political and other ascendancy" under the domain of Jupiter. Both of these planetary energies can be useful for money spells. The difference is subtle - Jupiter is better when you are looking to make more money in a work situation, get a promotion, or find a better job. The Tarot card associated with Jupiter is Fortune, and as you might expect Jupiter can also be used to increase luck in financial affairs and gain short-term windfalls. The Sun is more suited to wealth, which is not the same thing as money. Wealth consists of resources that provide a longer-term source of funds, like an ongoing successful business or good investments. You will be using the Greater Invoking Ritual of the Hexagram for Jupiter. The ritual should be performed on a the day of Jupiter (Thursday) during the hour of Jupiter if possible. As with a love spell, you do not need a containment structure so the circle alone will suffice. It should be blue, and you can also trace a square within it in purple. If you are casting the spell with some idea of what your source of funds will be, carry on your person a magical link that represents that source. For example, if the goal is a higher-paying job carry a copy of your resume and make sure that it matches any resumes you will sending to prospective employers. If you really have no idea, then just center the spell on yourself and don't use a link. These are the same as in the other two rituals. Perform the Greater Invoking Ritual of the Hexagram for Jupiter. As you conclude with "Let the divine light descend! ", visualize a column of purple light descending into the circle and enveloping you. You then begin to conjure the Spirit of Jupiter. Vibrate the capitalized words. Four is the number of Jupiter, so the names are vibrated four times. EL, EL, EL, EL (like it looks). Come unto me, God in CHESED (kheh-SED), the sphere of TZEDEQ (tzeh-DEK). Send unto me TZADKIEL (tzahd-kee-EL), that great Archangel of thine, that he may answer my behest. Pause until the presence of El is perceived. If you don’t feel anything or see anything, wait three minutes or so before continuing. TZADKIEL, TZADKIEL, TZADKIEL, TZADKIEL (tzahd-kee-EL). Come unto me, great and mighty Archangel of CHESED (kheh-SED), the sphere of TZEDEQ (tzeh-DEK), by the name of the great god EL. Send unto me JOPHIEL (joh-fee-EL), that great intelligence of thine, that he may answer my behest. Pause until the presence of Tzadkiel is perceived. If you don’t feel anything or see anything, wait three minutes or so before continuing. JOPHIEL, JOPHIEL, JOPHIEL, JOPHIEL (joh-fee-EL). Come unto me, thou bright intelligence of TZEDEQ (tzeh-DEK), and answer my behest. In the name of TZADKIEL (tzahd-kee-EL) thy lord, compel the spirit HISMAEL (his-may-EL) who is under thy dominion to manifest within this Circle of Art. Pause until the presence of Jophiel is perceived. If you don’t feel anything or see anything, wait three minutes or so before continuing. HISMAEL, HISMAEL, HISMAEL, HISMAEL (his-may-EL). Come unto me, mighty spirit of TZEDEQ (tzeh-DEK), and make manifest my behest. In the name of JOPHIEL (joh-fee-EL) thy lord, come forth within this Circle of Art that thou mayst wield the powers of the path of KAPH (KAHF), the path of the planet Jupiter. Pause until the presence of Hismael is perceived. If you don’t feel anything or see anything, wait three minutes or so before continuing. At this point you deliver the charge to the spirit. Address it to Hismael. This is what you want the spirit to do. You need to write this part yourself, because it’s very personal. You should state what you want simply so that the spirit can’t twist your words around. With a money spell it is good to keep in mind that a lot of people have family members with assets and things like life insurance so that a tragedy like a death in the family could result in riches. It is usually wise to craft the charge so that the spirit is bound to act without causing bodily harm to yourself or others. After all, it would also be a pretty bad outcome to be permanently disabled in a car accident but wind up with a million dollar lawsuit settlement - but you would have your money. After the charge, pause for a moment before closing the temple. The License to Depart should be revised as follows. O thou EL and thy ministers TZADKIEL (tzahd-kee-EL), JOPHIEL (joh-fee-EL), and HISMAEL (his-may-EL), because thou hast diligently answered unto my demands, and hast been very ready and willing to come at my call, I do here license thee to depart unto thy proper place; without causing harm or danger unto man or beast. I charge thee to withdraw peaceably and quietly, and peace be ever continued between us. So mote it be! Pause for a moment to give the spirits time to depart. Visualize the purple light being absorbed into yourself. The rest of the Closing is the same. You're done. The first version of this article was published on 6/19/2006 on the previous version of this blog. A hundred years ago most men belonged to fraternal orders of one sort or another, many of which had initiatory rites largely copied from those of Freemasonry. These days many books on magick and witchcraft support the concept of "self-initiation" and the popularity of secret and semi-secret fraternal orders has waned. Does that mean that formal initiation has become a quaint anachronism, or is it still an effective spiritual technology? What the concept of self-initiation gets right is that regardless of the rituals and ceremonies you go through and the degree titles you hold, you have to do the corresponding spiritual work yourself. There is no real way around this basic truth. Spiritual realization is experiential - it cannot be taught or even directly explained. Because of this a degree title does not guarantee spiritual wisdom or power. In many organizations, advancement to higher degrees is contingent upon service to the organization rather than actual spiritual attainment, and the fact that someone is a hard worker in the mundane realm says nothing about their capacity for magick or mysticism, or the quality of their realization. Nonetheless, formal initiation is a powerful method for imprinting the mind with concepts and ideas that will facilitate the spiritual evolution of a dedicated spiritual practitioner who takes those lessons to heart. The secrecy that surrounds initiatory traditions is related to a powerful psychological techique - the mind becomes more sensitive and attuned to information when it is placed in a situation of uncertainty, so an initiatory ritual will create a much more powerful imprint if the candidate does not know what is going to happen. Enough has been published that it is possible with some diligence to locate the degree work of most initiatory orders, but if you ever plan on taking the degrees all you are doing is cheating yourself. I am convinced that this is the sole practical reason for secrecy surrounding initiation rituals. For much of human history it was believed that secret knowledge was somehow more powerful, but I suspect this belief was due to a misunderstanding of the mechanics of mind. When a candidate knows what is going to happen it is not that current of magical energy is weaker but that the mind expects the form of the ritual and is less moved by it. As a result, the magical effect of the initiation is reduced and a reasonable person might conclude that the power of the rite somehow grows if few know its details. What really happened is that the mind anticipated the actions of the rite, conceptualized them, and processed them ahead of time so no effective imprint was formed. So does this imprint hypothesis mean that initiations are merely psychological? In a sense the answer is yes, but there is no "merely" about it. All magical rituals raise energy if performed by skilled practitioners. The difference with an initiation is that the psychological imprint allows the psyche of the candidate to be more open to that energy than they might otherwise be, and gives that energy a framework in which to work toward creating change in the candidate's life. One of the wonders that the Internet has brought us is the concept of "astral initiations" that is, a group of magical practitioners will ask candidates to send them photographs or some other sort of magical link and then perform the initiation rite on the magical link, presumably to transmit a current of energy to the candidate corresponding to the energy summoned by the initiation rite. While the people doing this work may be sincere, I have trouble believing that it is all that effective. Without the imprint, the initiation will not work nearly as well. A magical force may be set in motion, but the effect will be reduced if it has to travel over a magical link and there will be no imprint created since the candidate has not gone through the physical experience of the initiation. A couple of people have reported to me that they took astral initiations and felt some sort of tangible energy effect, and I believe them - I just think that the effect is unlikely to be any greater than that of performing a self-initiation rite and perhaps that would have been a better route to take. For one thing, it's free. Second of all, I think that any magician will learn a lot more writing and conducting his or her own initiation ritual than he or she will possibly pick up going through any sort of "astral ritual" conducted by others, regardless of how talented those others might be. Better still, though, would be to find a friend who is also a talented magician who can write a ritual that will be completely unfamiliar to the candidate so that an imprint will be properly formed. Because this can be a difficult situation to set up, existing fraternal bodies still have an important role in initiation. In general, the rituals they perform were originally developed by talented ritualists and improved over the years based on changes that were found to work better for initiating candidates. Such improvements are based on empirical observation that a single individual could never undertake on short notice, and as a result the rituals themselves are cleaner and generally work better. While groups like Ordo Templi Orientis are more explicitly magical, the Masonic fraternity also puts on good initiation rites that have been tested for centuries on millions of candidates, a very impressive track record. 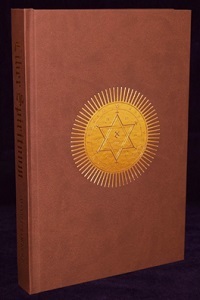 Also, Masonic initiations are not only available to men - American Co-Masonry (http://www.co-masonry.org/) offers initiation to both men and women and has lodges in many areas of the country. If Masonry is any indication, today more and more people are becoming interested in initiation and fraternal orders and seeing the value in joining such organizations. After losing members for a long time, it seems like Masonic lodges are finally starting to find more qualified individuals seeking initiation. The Internet helps make these groups easier to find, and it is clear that this is where many of the inquiries are now originating. My Masonic lodge has a very nice website at http://braden.org/ that has a lot of information, and I am also an initiate of Ordo Templi Orientis (http://oto-usa.org/) and a member of the local OTO lodge (http://www.leapinglaughter.org/) here in Minneapolis. Feel free to check out the links for more information. This is the other sort of spell I get asked about all the time. Just about everyone who e-mails me looking for spell advice either wants to curse someone or make someone fall in love with them. I've covered the basic ritual forms in my article on Casting a Curse and the same forms are used for most ceremonial spells. Here are the changes that you need to make to the Saturn operation described in the cursing article to change it from a curse to a love spell, and some comments on how such spells work. (1) A love spell cast on a specific target - "make person x fall in love with me." (2) A love spell cast without a specific target - "bring me love with the most suitable partner." I favor Method 2 in my own magical work. First of all, with Method 1 you are attempting to directly influence the will of a specific individual who presumably is not interested in you as a romantic partner (since if they were you wouldn't need a spell), and I see this as an unethical use of magick. Second of all, it is significantly less likely to work. Magick manipulates probabilities and as a result you are more likely to succeed if there are many ways in which a spell can achieve your objectives. Limiting your spell to a single person limits the possible success conditions, and if the person you are seeking really is the most suitable partner for you the spell will affect them anyway. On the other hand, if they are more unsuitable than they appear the spell will bring you someone else and you will be happier with the outcome. Here are the changes to the ritual forms. You will be replacing the Greater Invoking Ritual of the Hexagram for Saturn with the Greater Invoking Ritual of the Hexagram for Venus. The ritual should be performed on a the day of Venus (Friday) during the hour of Venus if possible. You do not need a containment structure for a love spell, since in this case you want to be affected by the same magical field as the target. Therefore, the circle alone will suffice. It should be green, and you can also trace a seven-pointed star within it, also in green. If you are using Method 1, you will want to have on your person some sort of link to the target, like a photograph. If you are using Method 2, you do not need a link to any specific person. These are the same as in the Saturn operation. Perform the Greater Invoking Ritual of the Hexagram for Venus. As you conclude with "Let the divine light descend! ", visualize a column of emerald green light descending into the circle and enveloping you. You then begin to conjure the Spirit of Venus. Vibrate the capitalized words. Seven is the number of Venus, so the names are vibrated seven times. A helpful trick is to count on your fingers as you vibrate the names, because it is easy to lose your place when vibrating a name seven times in a row. YAHWEH TZABAOTH, YAHWEH TZABAOTH, YAHWEH TZABAOTH, YAHWEH TZABAOTH, YAHWEH TZABAOTH, YAHWEH TZABAOTH, YAHWEH TZABAOTH (yah-WEH tzah-bah-OTH). Come unto me, God in NETZACH (net-ZAKH), the sphere of NOGAH (noh-GAH). Send unto me HANIEL (hah-nee-EL), that great Archangel of thine, that he may answer my behest. Pause until the presence of Yahweh Tzabaoth is perceived. If you don’t feel anything or see anything, wait three minutes or so before continuing. HANIEL, HANIEL, HANIEL, HANIEL, HANIEL, HANIEL, HANIEL (hah-nee-EL). Come unto me, great and mighty Archangel of NETZACH (net-ZAKH), the sphere of NOGAH (noh-GAH) by the name of the great god YAHWEH TZABAOTH (yah-WEH tzah-bah-OTH). Send unto me HAGIEL (hah-ghee-EL), that great intelligence of thine, that he may answer my behest. Pause until the presence of Haniel is perceived. If you don’t feel anything or see anything, wait three minutes or so before continuing. HAGIEL, HAGIEL, HAGIEL, HAGIEL, HAGIEL, HAGIEL, HAGIEL (hah-ghee-EL). 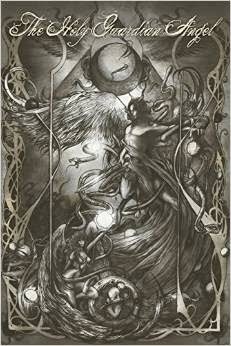 Come unto me, thou bright intelligence of NOGAH (noh-GAH) , and answer my behest. In the name of HANIEL (hah-nee-EL) thy lord, compel the spirit KEDEMEL (keh-deh-MEL) who is under thy dominion to manifest within this Circle of Art. Pause until the presence of Hagiel is perceived. If you don’t feel anything or see anything, wait three minutes or so before continuing. KEDEMEL, KEDEMEL, KEDEMEL, KEDEMEL, KEDEMEL, KEDEMEL, KEDEMEL (keh-deh-MEL). Come unto me, mighty spirit of NOGAH (noh-GAH), and make manifest my behest. In the name of HAGIEL (hah-ghee-EL) thy lord, come forth within this Circle of Art that thou mayst wield the powers of the path of DALETH (dah-LETH), the path of the planet Venus. Pause until the presence of Kedemel is perceived. If you don’t feel anything or see anything, wait three minutes or so before continuing. At this point, you deliver the charge to the spirit. Address it to Kedemel. This is what you want the spirit to do, either using Method 1 or Method 2 above. You need to write this part yourself, because it’s very personal. You should state what you want simply so that the spirit can’t twist your words around. After the charge, pause for a moment before closing the temple. O thou YAHWEH TZABAOTH (yah-WEH tza-bah-OTH) and thy ministers HANIEL (hah-nee-EL), HAGIEL (hah-ghee-EL), and KEDEMEL (keh-deh-MEL), because thou hast-diligently answered unto my demands, and hast been very ready and willing to come at my call, I do here license thee to depart unto thy proper place; without causing harm or danger unto man or beast. I charge thee to withdraw peaceably and quietly, and peace be ever continued between us. So mote it be! Pause for a moment to give the spirits time to depart. If you are using Method 1, visualize the emerald green light in the circle sinking into the magical link and vanishing. For Method 2, visualize the light being absorbed into you. This article was originally posted on 10/19/2006 on the original version of this blog. It also alludes to the Ananael site, my other ritual magick site that is also currently down. Putting it online again gives me a new link to send out to folks who want to know how to cast curses. Let me emphasize that I am in no way encouraging anyone to start going around cursing people just because I am publishing this method - often it's a very bad idea. Every so often I get an e-mail from someone who wants to know how to cast a curse against an enemy or somebody who has wronged them in some way. I had a pretty good Collection of Curses compiled by the alt.magick community years ago on my Ananael site, but what was missing from that collection is a formal ceremonial cursing spell. A while back I decided to write one, so that I would have something to send people who asked how I would go about doing it. Most of the people I have sent this to have found it to be "too difficult." I have a couple of responses to that. Use a simpler curse. If the ceremonial system doesn't appeal to you or seems too complex, try using a different spell. Some of the curses in the collection are pretty simple and it is not necessarily true that a more complex ritual will be more powerful. In fact, a simple curse that you completely understand will usually be more effective than a complex one read haltingly from a script. Did you think real magick would work anything like it does in Harry Potter? In the Harry Potter books and movies, you become a magician by (1) finding the right wand and (2) learning how to make a simple hand motion as you say one or two magick words. I've practiced for more than 20 years and I will say that I can often make magical effects work like that - now. It took a lot of years of practice to get there, though, and I still find that rituals using the proper forms are significantly more effective than the "quickie" magick that I can do without them. Did you think you could do this without any work at all on your part? One of the common misconceptions about magick is that it is an easy way to solve problems. It isn't. Magick is like a martial art for your mind. It requires concentration, discipline, and dedication. If a mundane solution to a problem exists, that solution is usually easier than doing any kind of magick. Magick is more properly used when a simple mundane solution does not present itself, or when mundane solutions have already failed to resolve the problem. These people usually respond by asking if they can pay me to cast the spell. Anyone considering this should consult the Ananael FAQ. I'm not in the business of casting spells for other people - at present I make plenty of money as a software developer, and I'm not interesting in involving myself in drama or conflict that doesn't concern me. Anyone who is determined to hire someone could try contacting Moloch at http://www.molochsorcery.com/. He advertises spell services on his web site and from his essays appears to be pretty knowledgeable about practical magick. I prefer to use Saturn for curses, simply because Mars is more violent and more concerned with making the target suffer. I don't personally really care if the target of a curse suffers - I'm casting the curse to resolve a problem and I just want it to go away. If I cast a curse so that an evil boss will no longer work for my company, it makes little difference to me whether that individual is fired over some traumatic scandal or gets a better job offer elsewhere and takes it. Either way, I no longer have to deal with them and that's what I care about. The following ritual evokes the energy of Saturn for the purpose of sending a curse to a specific external target. 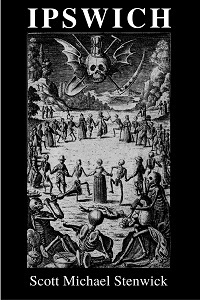 The magical power associated with Saturn is “Works of Malediction and Death.” Thus, depending on the charge given to the spirit, this ritual can be used to send anything ranging from general bad luck up to and including death. This ritual is written using standard Golden Dawn forms. There are three basic rituals that should ideally be committed to memory prior to attempting the entire rite. Ritual magick works by aligning the microcosm (your mind) with the macrocosm (the universe). Once the two are aligned, changes in the mind of the magician will influence whatever aspect of the universe is targeted by the magical operation. The three basic rituals used here are the Lesser Banishing Ritual of the Pentagram (microcosmic), the Lesser Invoking Ritual of the Hexagram (macrocosmic), and the Greater Invoking Ritual of the Hexagram for Saturn, which tunes the energy of the ritual to that of the planet. The Lesser rituals should be practiced daily for a week or so leading up to the actual rite. A curse of this nature should be performed on a Saturday, and if you possible during the hour of Saturn. I use ChronosXP to calculate planetary hours - it is a very nice program and even sits on your desktop, announcing each planetary hour as it arrives. When casting a curse it is important to pay attention to the setup of the temple. You will need a black circle on the floor large enough for you to stand in and extend your arms without crossing the edge. The traditional grimoires recommend nine feet in diameter, which is perfect if you have the space. If not, it can be smaller, but you want to make sure that every part of your body stays inside it for the duration of the ritual. You will also need a black equilateral triangle three feet or so on a side which is placed to the east of the circle with one of the points facing due east. It is vital that the circle and triangle are used in a ritual of this sort. A good way to make a temporary circle and triangle is to go to a party store and get a couple of rolls of black crepe paper. Then get some duck tape and tape the paper to the floor in the proper shape. This takes a little while but the effect is nice. When you’re done with the ritual, you can burn the paper, which is not strictly necessary (it can be thrown away too) but gives a stronger sense of closure to a rite. There is only one way you can be hurt by a curse that you are summoning – if you try to cast it without the circle and triangle. Wiccans teach that magick follows something called the Threefold Law. They believe that if you cast something into the world it will “rebound” and affect you in the same manner as it affects the target. They also believe that it will affect you three times as severely. The “threefold” part of this is superstitious nonsense, but if you just use a circle without the triangle you can be affected in the same manner and to the same degree as the target. Wiccans don’t generally use triangles in their rituals, so this effect is probably the origin of the Threefold Law doctrine. The problem is not that the spell rebounds or bounces, but that if you just use a circle you are putting yourself in the same “magical space” as the target and will be hit by the same current of energy. The triangle serves to put you and the target in separate magical spaces, so you can summon energy into the triangle without it affecting you in the circle. That’s a technical explanation, but the upshot of it is that you should make sure you use the circle and triangle, because otherwise bad things can happen to you. When performing the ritual you will be standing in the circle. You will need to place a Magical Link in the triangle. This should be something that has a close connection to the target of the spell. A photograph works well, but make sure it’s a photograph of just the target and not anyone else. If necessary, cut the figure of the target out of a photograph of multiple people with a razor blade or x-acto knife and use that as your link. You can also use things like hair or fingernail clippings, but those are often hard to obtain. A photograph has the added advantage that you can draw the Characters for Saturn and the Intelligence and Spirit you will be summoning over the image of the target. You can also use a black candle placed in the triangle - it makes a nice focus for the conjuration. Stand in the center of the circle, facing east. Perform the Lesser Banishing Ritual of the Pentagram. Perform the Lesser Invoking Ritual of the Hexagram. Combining these two rituals opens the Operant Field. Thee I invoke, who art universe.Thee I invoke, who art in nature formed.Thee I invoke, the vast and the mighty.Source of darkness, source of light. Then make the Sign of Silence. This sign is made by dropping your arms and placing your right index finger to your lips. Pause for a moment. Peh Resh Kaph Tau. The word is PAROKETH, which is the veil of the sanctuary. In and by that word (Make the Sign of Rending the Veil – put your arms in front of you with the backs of your hands touching, and then draw them apart as if opening a heavy curtain), I open the veil. Make the Sign of Osiris Risen, crossing your arms over your chest like an Egyptian mummy. Visualize yourself and the entire circle permeated with glowing, golden light. Perform the Greater Invoking Ritual of the Hexagram for Saturn. As you conclude with "Let the divine light descend! ", visualize a column of dark purple light, almost black descending into the triangle and permeating the magical link. The circle remains bathed in golden light. You then begin to conjure the Spirit of Saturn. Vibrate the capitalized words. ELOHIM, ELOHIM, ELOHIM. (el-oh-HEEM) Come unto me, God in BINAH (bee-NAH), the sphere of SHABBATAI (shah-bah-TYE). Send unto me TZAPHKIEL (tzaf-kee-EL), that great Archangel of thine, that he may answer my behest. Pause until the presence of Elohim is perceived. If you don’t feel anything or see anything, wait three minutes or so before continuing. TZAPHKIEL, TZAPHKIEL, TZAPHKIEL. (tzaf-kee-EL) Come unto me, great and mighty Archangel of BINAH (bee-NAH), the sphere of SHABBATAI (shah-bah-TYE). by the name of the great god ELOHIM (el-oh-HEEM). Send unto me AGIEL (ah-ghee-EL), that great intelligence of thine, that he may answer my behest. Pause until the presence of Tzaphkiel is perceived. If you don’t feel anything or see anything, wait three minutes or so before continuing. AGIEL, AGIEL, AGIEL. (ah-ghee-EL) Come unto me, thou bright intelligence of SHABBATAI (shah-bah-TYE), and answer my behest. In the name of TZAPHKIEL (tzaf-kee-EL) thy lord, compel the spirit ZAZEL (zah-ZEL) who is under thy dominion to manifest within this Triangle of Art. Pause until the presence of Agiel is perceived. If you don’t feel anything or see anything, wait three minutes or so before continuing. ZAZEL, ZAZEL, ZAZEL. (zah-ZEL) Come unto me, mighty spirit of SHABBATAI (shah-bah-TYE), and make manifest my behest. In the name of AGIEL (ah-ghee-EL) thy lord, come forth within this Triangle of Art that thou mayst wield the powers of the path of TAU (pronounced like it looks), the path of the planet Saturn. Pause until the presence of Zazel is perceived. If you don’t feel anything or see anything, wait three minutes or so before continuing. At this point, you deliver the charge to the spirit. Address it to Zazel. This is what you want the spirit to do. You need to write this part yourself, because it’s very personal. You should state what you want simply so that the spirit can’t twist your words around. You then give the license to depart. O thou ELOHIM (el-oh-HEEM) and thy ministers TZAPHKIEL (tzaf-kee-EL), AGIEL (ah-ghee-EL), and ZAZEL (zah-ZEL), because thou hast-diligently answered unto my demands, and hast been very ready and willing to come at my call, I do here license thee to depart unto thy proper place; without causing harm or danger unto man or beast. I charge thee to withdraw peaceably and quietly, and peace be ever continued between us. So mote it be! Pause for a moment to give the spirits time to depart. Visualize the dark purple light in the triangle sinking into the magical link and vanishing. Peh Resh Kaph Tau. The word is PAROKETH. In and by that word (Make the Sign of Closing the Veil – bring your hands together in front of you as though closing a curtain), I close the veil. Give the Sign of Silence by putting your right index finger to your lip and visualize the golden light in the circle fading away. Perform the Lesser Banishing Ritual of the Pentagram. You’re done.